Nursing is all about therapeutic techniques. BUT nurses are all too often overwhelmed with tasks which bring their minds to a state of stress and anxiety. Overwhelm. Practicing mindfulness immediately helps to calm the anxious mind and make the nurse more present in her own body/mind. This presence allows for a safer, focused interaction with your patients at the bedside. How to experience mindfulness at the bedside? As a certified yoga teacher and the founder of YogaNursing®, I’ve been teaching thousands of nurses and patients how to experience mindfulness for 20 years. A- FOR AWARENESS- aware you are aware, you stop, observe what you are experiencing in the moment. i.e. stress, anxiety, fear. B- FOR BREATHING- take a deep breath, keep bringing your awareness to your breath, the breath is your anchor to save you from drowning in overwhelm. C- FOR CIRCULATION- A + B = circulation. Your central nervous system begins to relax. Your focus gets clearer, the brain fog clears up. Oxygen begins to circulate. You are better equipped to be with yourself and your patient. Sounds too simple? TRY IT. It’s called a practice because one has to practice it all the time in the daily life. Soon as the overwhelm demons come into your awareness, NIP them in the bud. Begin the ABCs. Here’s a beautiful FREE PRACTICE SESSION FOR YOU from Lindsay Pemble, CARDIAC NURSE PRACTITIONER AND CERTIFIED YOGANURSE®. Nurses all over the globe have embraced Holistic Nursing to #1 help themselves to embrace wholeness, mindfulness. Then they are able to share it at the bedside. OUTCOME: The nurse feels happier, healthier, more at peace. The patient feels happier, healthier, more at peace. If this share resonates with you, consider joining the YogaNurse® Academy. Learn the ABCs for yourself, get an entire duplicatable 3 PART CARE PLAN, plus 10 ANCC credits approved by the American Holistic Nursing Association. 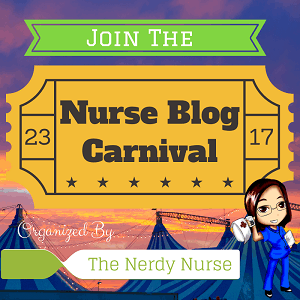 This post is part of the nurse blog carnival. Our host for this round is The Balanced Nurse. Visit to read what other nurses have contributed. SIGN UP to get FREE tips + valuable training not on my website to create true Self-love + a hot health career in YogaNursing. Thanks, Annette, for such useful and accessible information on an important topic. I never tried Yoga, but I did Tai Chi and other martial arts for years with great benefit. You’ve sold me: it seems time to give Yoga a try, although it’s intimidating for such a stiff (even in my prime and MORE so now) old guy. Thanks. Thanks for the ABC’s! It’s so helpful for people to keep it simple at the beginning of learning mindfulness practice. I will be bringing my awareness, breath and circulation into my yoga class later today! Thank YOU Eileen for hosting this blog carnival! Best part about this is the simplicity. Breaking it down into these three simple steps makes mindfulness less scary and easier to access. Great post, thanks Annette! This is so wonderful….something so simple can be so powerful! Annette I am so intrigued by yoganursing. I am going to check it out. I first used meditation and breathing exercises from hypnobabies while pregnant with my fifth baby and during the delivery. I continue to use the techniques I learned, because they feel so great. Great audio track. Thanks!